Likes: Once a week application, works!!! Gripes: Takes awhile to dry, bottle does not travel well, will make your skin SUPER ITCHY if not applied to 100% dry skin! Jenn's Rating: 5 Stars! I can't live without it!! Seriously reliable protection against excessive perspiration and odour. So effective, one application will work for 3.-5 days. 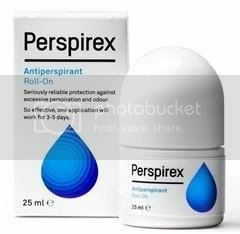 Perspirex is clinically proven to provide lasting protection against sweat and odour. No sweat, no smell. The skin must be completely dry before application. Use a hairdryer at a cool setting, if necessary. 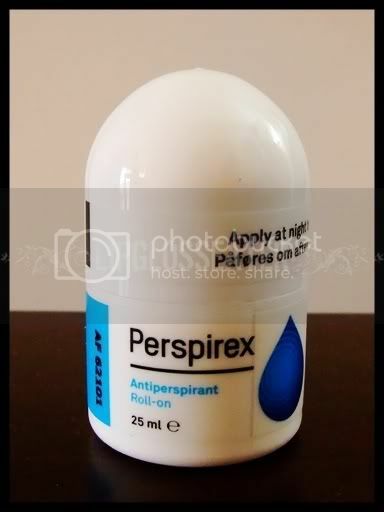 Never apply Perspirex on damaged / irritated skin. Do not use for 48 hours after shaving, waxing or use of depilatories. For external use only; avoid contact with the eyes and other mucous membranes. 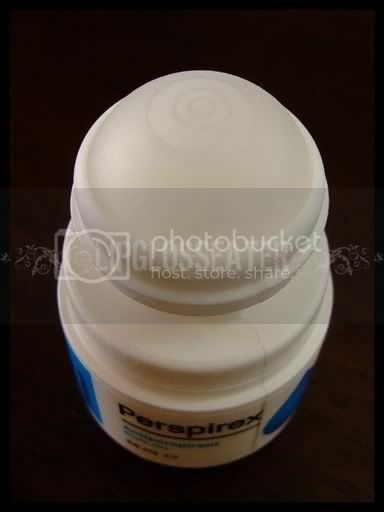 In rare cases PErspirex may cause skin irritation or an allergic skin reaction. If this occurs, discontinue use. Do not use on children. Perspiration problems rarely occur before puberty. 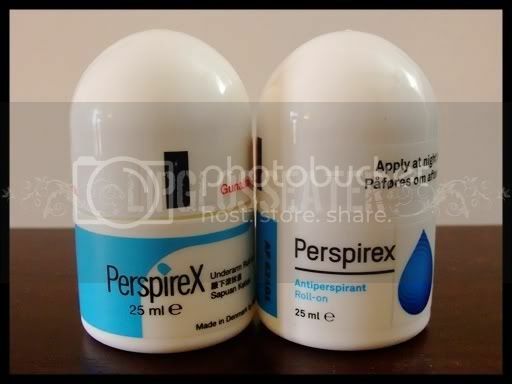 Perspirex may discolour and perish the fabrics you wera on the night of application. Avoid contact with jewellery and other polished metal surfaces. This smells just like alcohol freshly applied, but once it dries there is no scent! This anti-perspirant goes for RM55.90 (approx. US$18) per bottle, which is quite expensive! But then again you'll only need to apply this 1-3 times per week, so one bottle will last you quite awhile! I can't believe I haven't wrote a review on this yet!! This has been my lifesaver for 5 years now. I'm sure that most of you know that its quite embarassing to walk around with sweaty pits right! Unfortunately I was born with these cursed hyperactive sudoriferous glands that go into overdrive everytime i'm nervous / hot / cold (yes!! what the heck right?! >.<)! After trying out countless products that didnt work for me and being told that "sweating is a natural thing - deal with it! ", i'm sooooo glad that i finally found this baby, and have never looked back since! 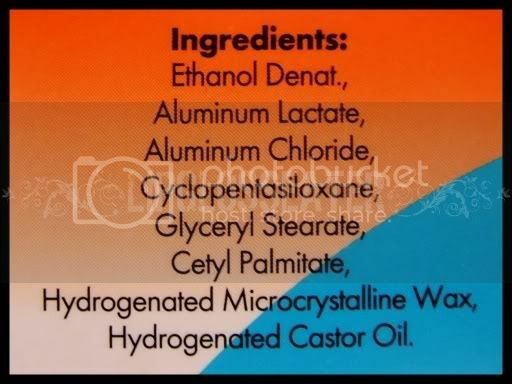 Credits: Product pic from Perspirex.com. does it leave a white residue after it dries? does it stain your white shirt yellow? does this really work? i have the same problem as you and have been using countless products but none works. chis. it's really embarrassing indeed. Anon #1: No to your first question. 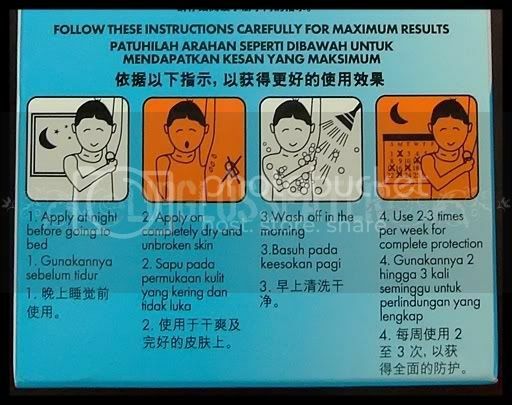 As for your 2nd question, the brochure mentioned that it might stain clothes, but since you need to make sure that your pits are totally dry before putting them down, i'm assuming that there shouldn't be anything left behind to stain your clothes with! Anon #2: yeah it does (for me at least la!)! :D You'll need to follow the instructions 100% though. Anon #3: There's been much debate about the validity of the point you brought up! Personally i'm not too fussed about it but that's just me! does this work the first time u applied? or does it take for a few days to work effectively? it works directly after the first time u used it. it's a total life-saver. gonna agree 100% with jenn. but i had only used it for about a month. still dont know the side effect. Is this product the same as drysol? Does it still work even after you shower?